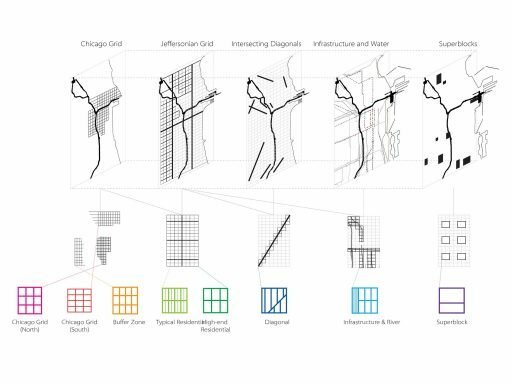 Redesigning Gridded Cities focuses with extreme detail on four paradigmatic gridded cities, Manhattan, Chicago, Barcelona, and Hangzhou by analyzing these cities and proposing their own interventions that implicate the grid in productive ways. 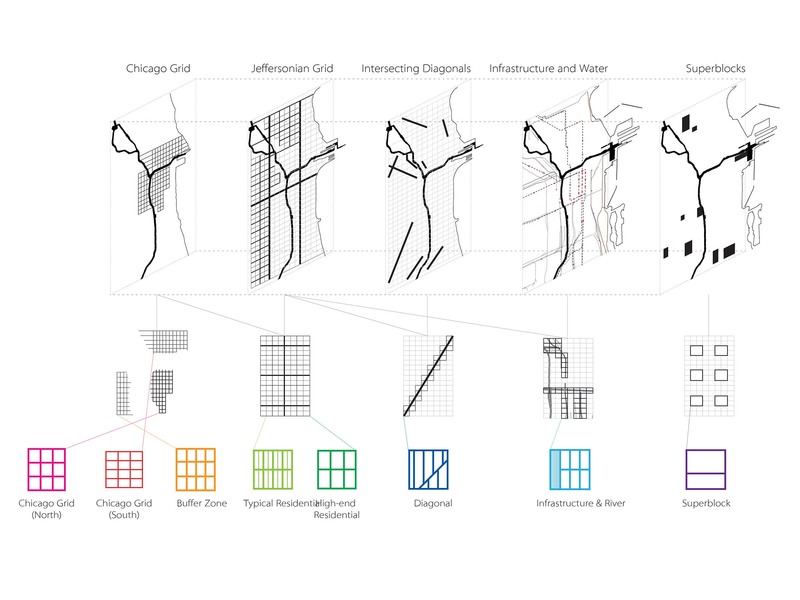 They emphasize the value of open forms for city design, and specifically insist that the grid has the unique capacity to absorb and channel urban transformation flexibly and productively. In both historical and projective, this series of books explore the potential of the grid as a design tool to produce a multitude of urban processes and forms. 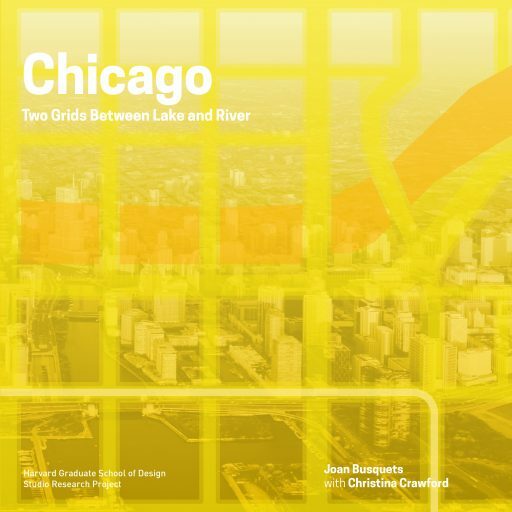 This publication about the city of Chicago is the product of a research project at the Harvard University Graduate School of Design to reinterpret the theme of the regular― gridded―city and to test its potential to assist in designing the contemporary city. There were two main aims for this research. The first pedagogical aim was to identify the morphological attributes of the gridded city and to understand the current value of this tool that has been built in the most varied cultures. 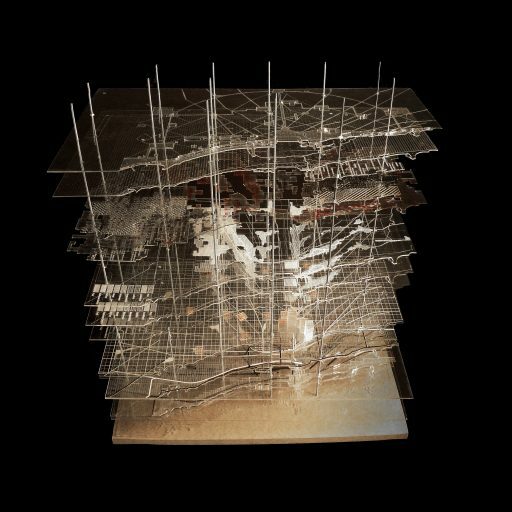 The second, speculative, aim was to explore broadly urban design principles that can address issue particular to the 21st century city. Joan Busquets, a world-renowned urban planner and architect, is the first Martin Bucksbaum Professor in Practice of Urban Planning and Design at the Harvard Graduate School of Design.